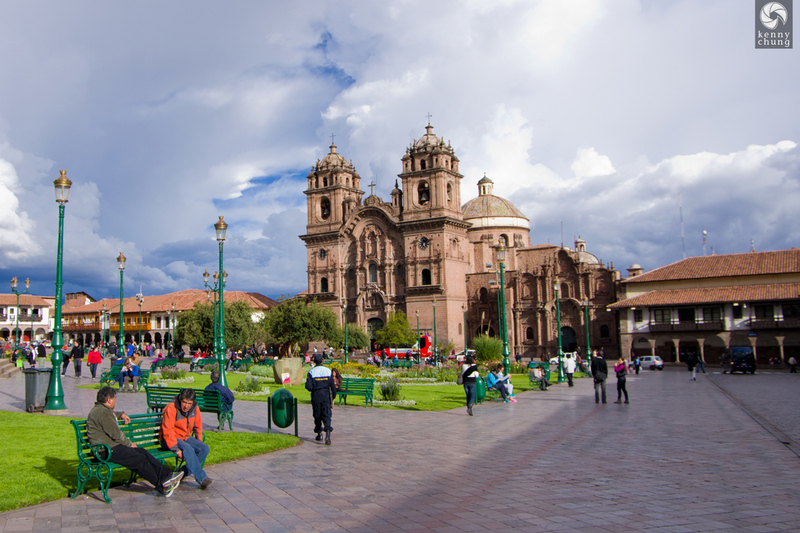 Cusco is a high-altitude city located in southern Peru. 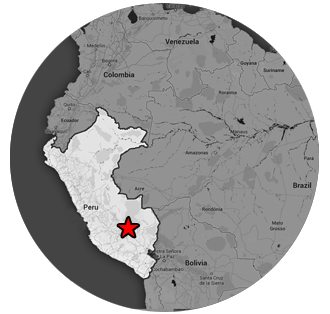 The area is known for the local markets as well as many hostels, which are popular in part because of the city's accessibility to Machu Picchu. 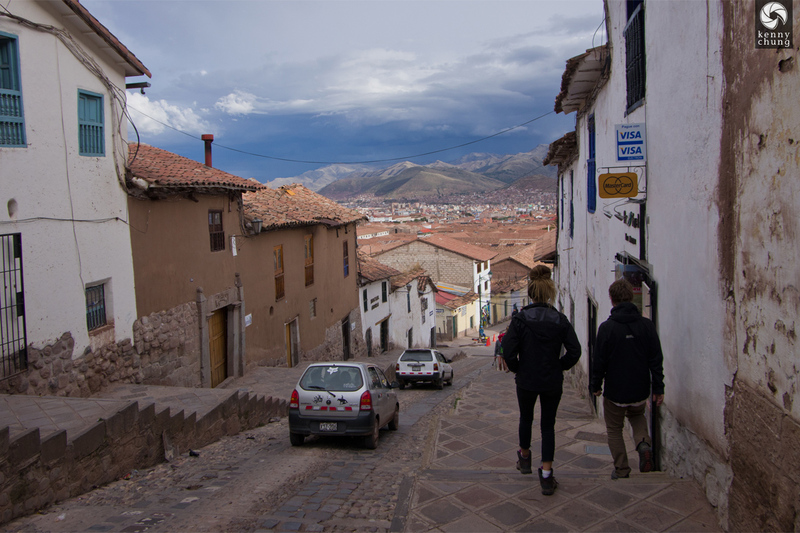 The view of the mountains from the street that our hostel (Loki Cusco) was located. 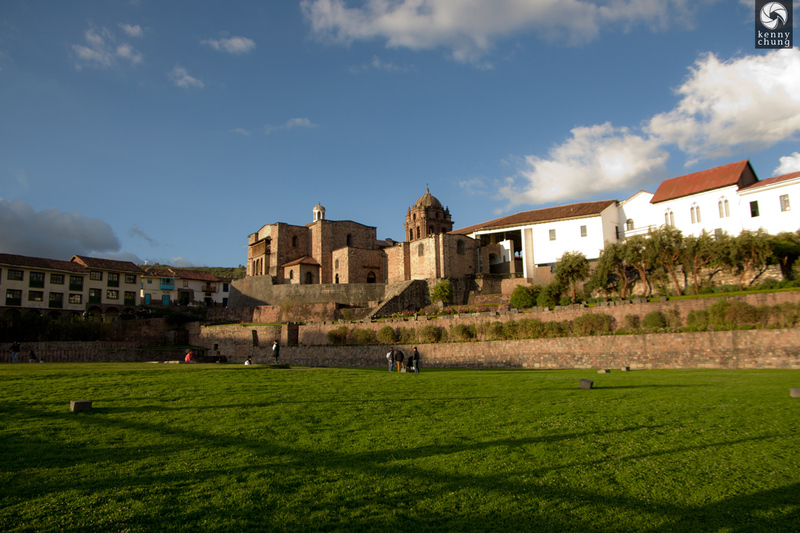 La Compa��a de Jes�s (the Church of the Society of Jesus) at the Plaza de Armas in Cusco. 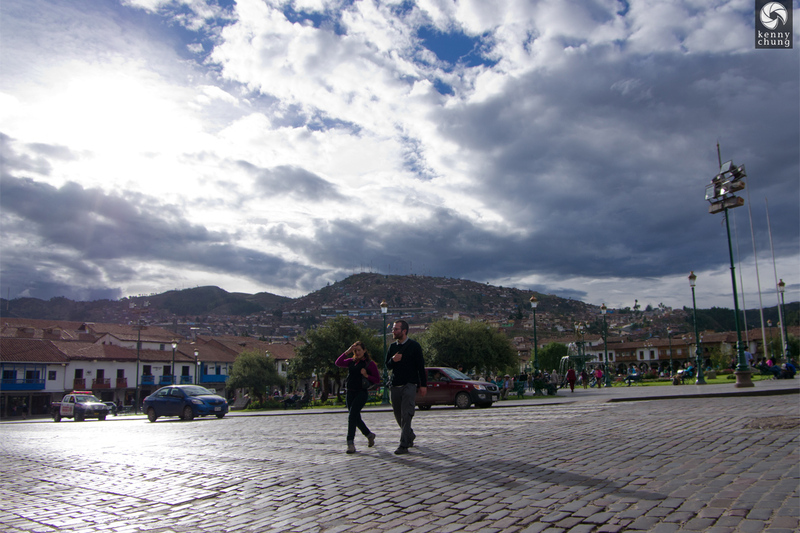 Mountains in the distance and tourists crossing the street at Plaza de Armas. 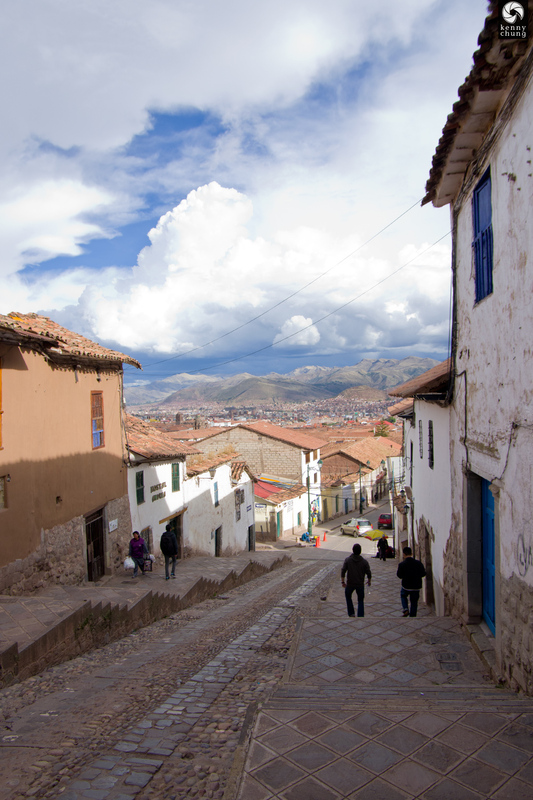 The streets leading to the Plaza de Armas was steep, but offered some spectacular views. 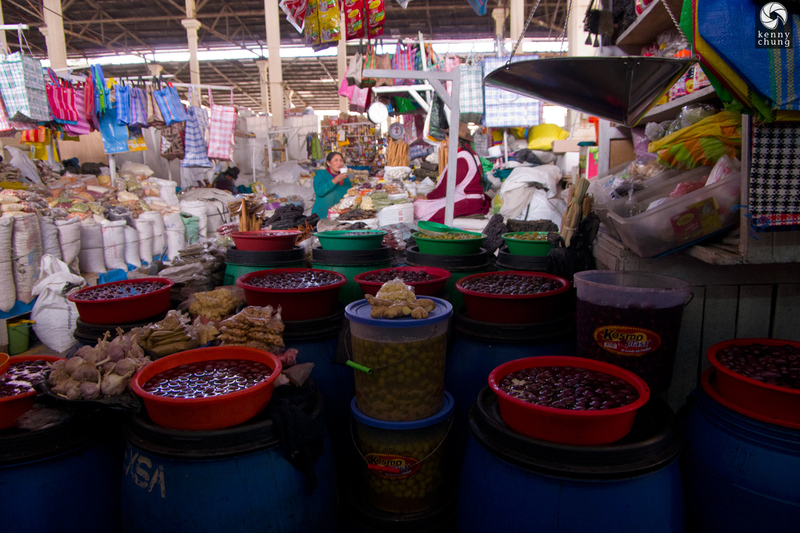 Near Plaza de Armas was San Pedro Market. 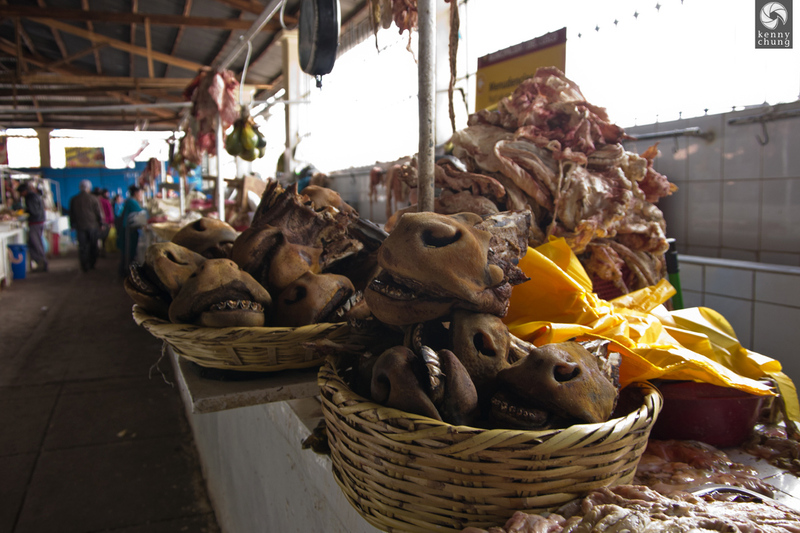 Here were some donkey jaws that were for sale (or were they horse jaws?). 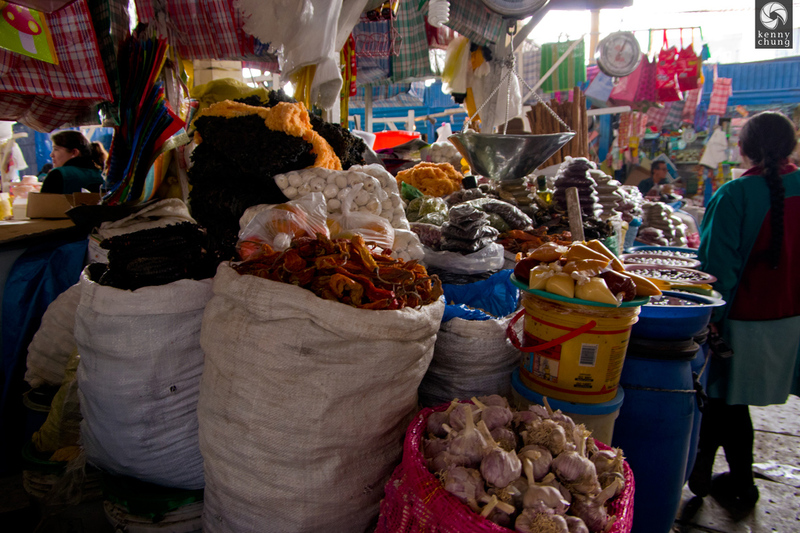 Dried vegetables for sale at San Pedro market. Little girls' dresses for sale. 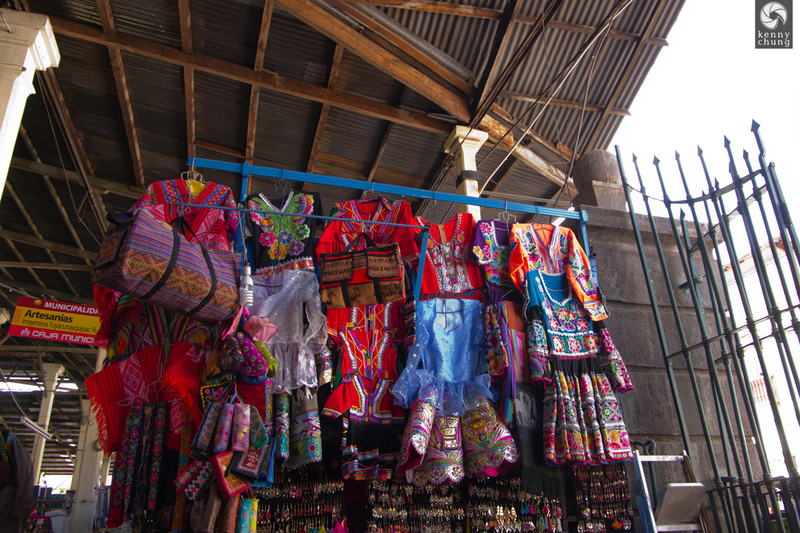 Next, we went to Cusco Market, which sold mostly clothing. Scarves and t-shirts for sale. 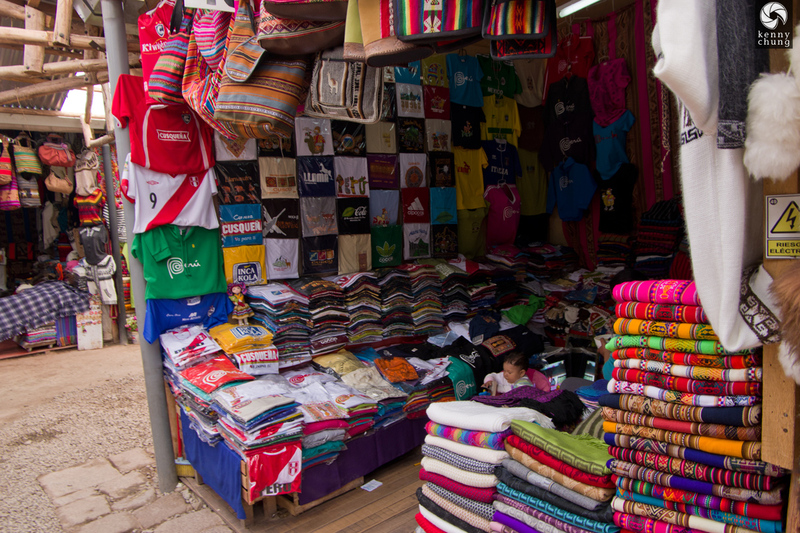 The shirts feature many of the iconic symbols of Peru, including the city's official logo, llamas, Inca Kola, and football/soccer paraphernalia. 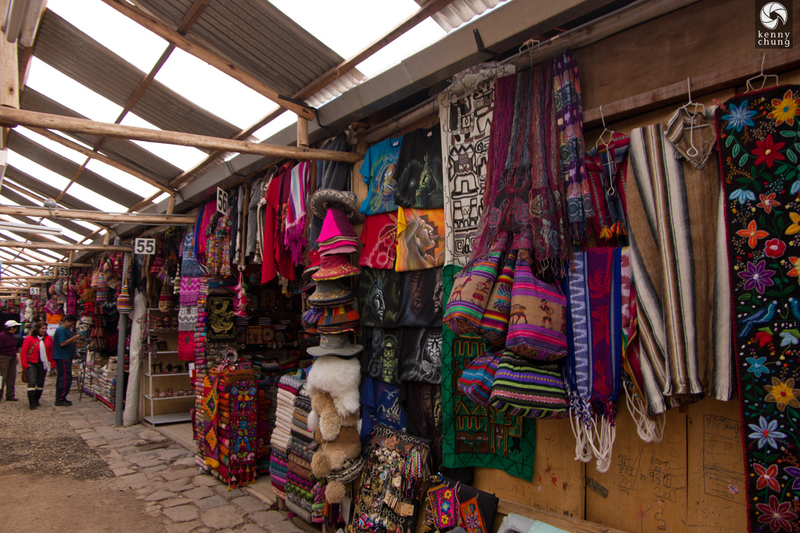 A last look at Cusco Market. 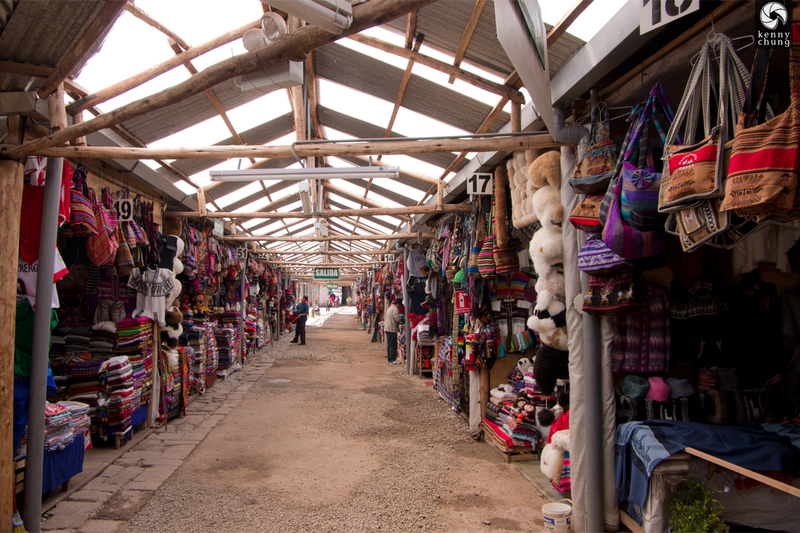 The last market we went to was in Centro Artesanal Cusco. 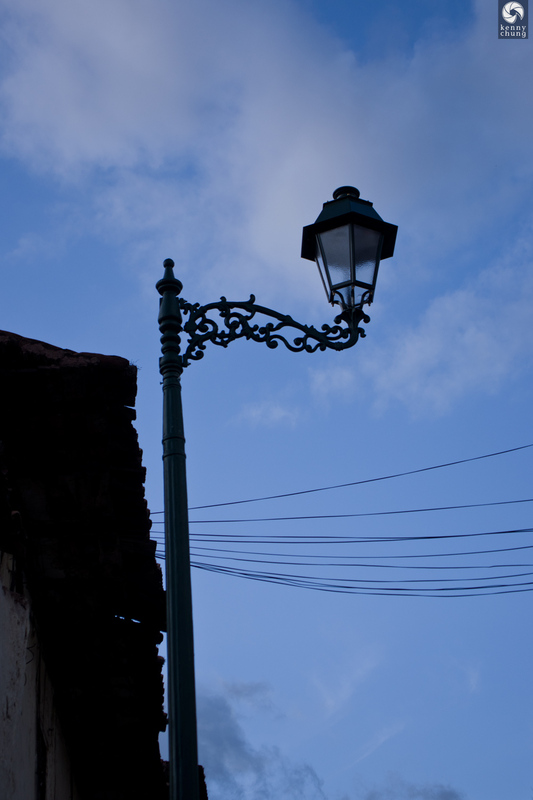 It was definitely the largest one we saw. 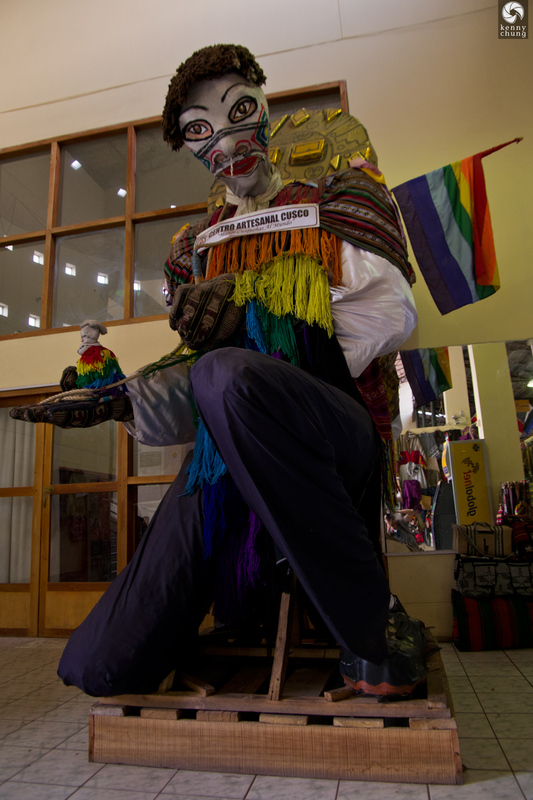 Here, there was some sort of mascot displayed, wearing the colorful Cusquenian flag (not to be confused with gay pride flag in the States) and a traditional Qolla-style knit mask. The sun casting long shadows on a lawn on Avenida El Sol (literally The Sun Avenue). 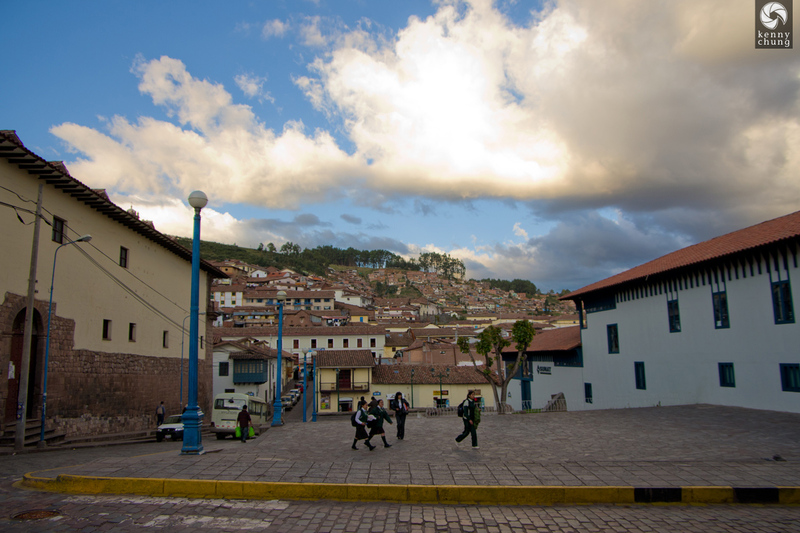 Children walking home from school in Cusco. 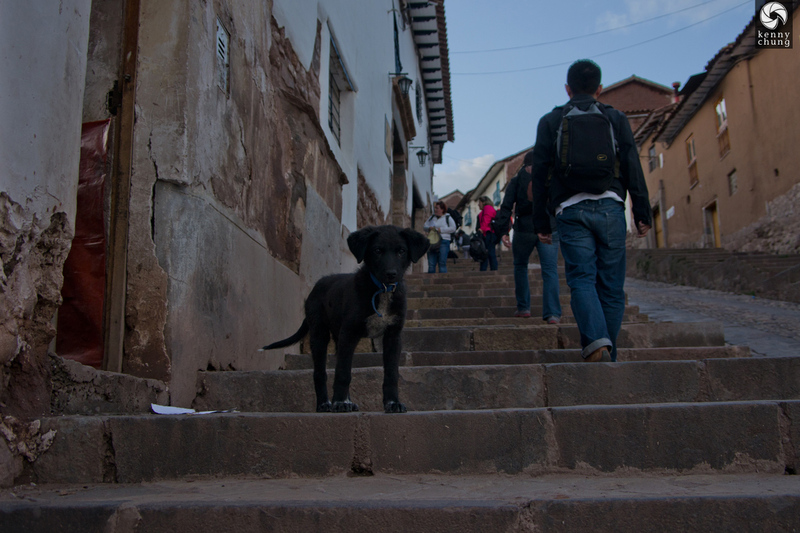 A dog on the street. 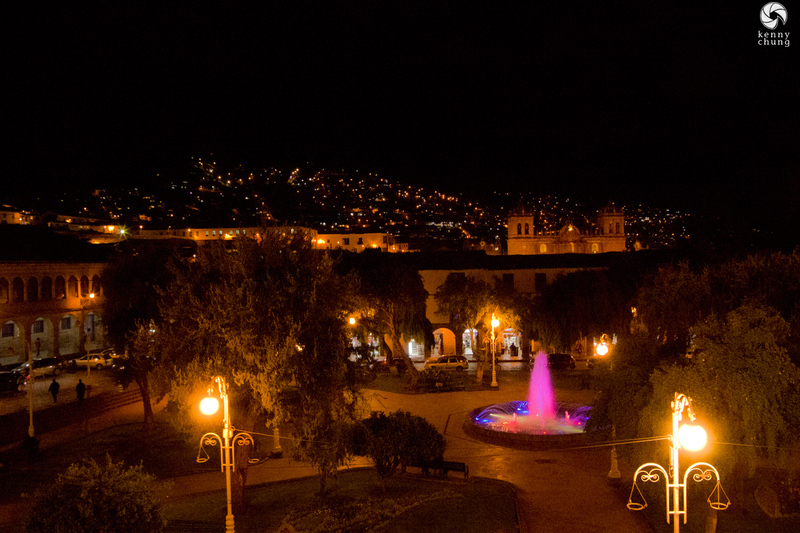 An illuminated fountain at night.